I know that Stamina makes very good rowers, so, in my search for a machine to use at home, I wanted to check them out first. The Air Rower appealed to me because it is an efficient and well-made machine that should be able to give me a full body workout that won’t be hard on my knee joints. I have knee problems so I can’t handle a treadmill, but I didn’t want to use my bad knees as an excuse not to work out. 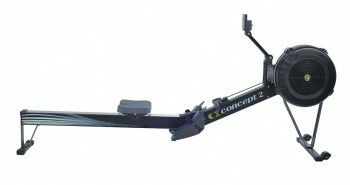 I live in an apartment, and I need a rower that will fold down to store easily away. 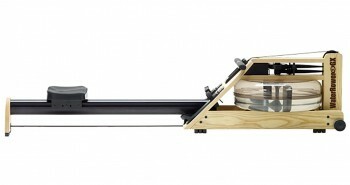 The Stamina Air Rower is a solid 55 pounds, but it was designed to easily fold to half its size. Plus, it has wheels on its base to allow you to move it with ease. Read on to see what else I discover. Not long ago, most exercise machines, including rowers, did not offer digital displays to show you things like speed and distance. I rather enjoy being able to track my progress and seeing how fast I am going. 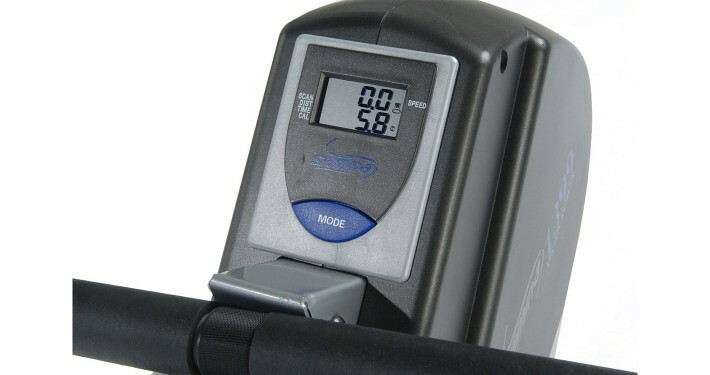 The digital monitor displays your speed, time, distance and even the number of calories that you burn in each rowing session. The monitor will display only one of these statistics at a time, but you will only need to press the “Mode” button to change the information on display. You also have the option of putting the monitor in scan mode so that it automatically changes the data on display every 6 seconds. Bottom line: this monitor is simple, but it does what it was meant to do. 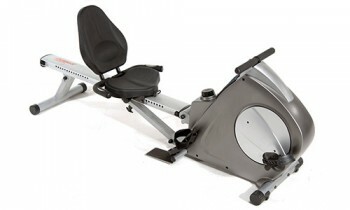 Don’t you just hate it when your bottom hurts after using a rower because the seat didn’t have enough padding? 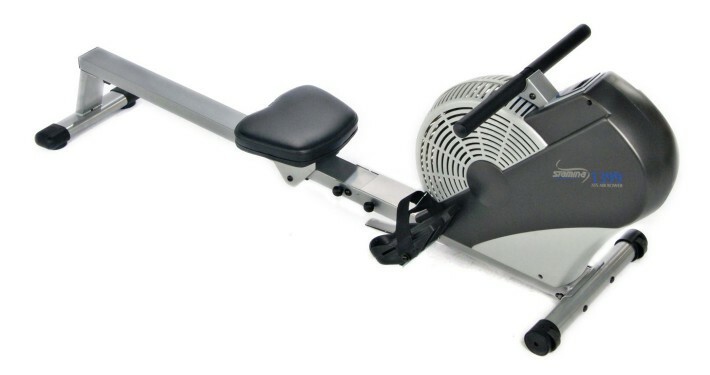 I have had more than my fair share of experiences with hard rower seats that make working out uncomfortable. 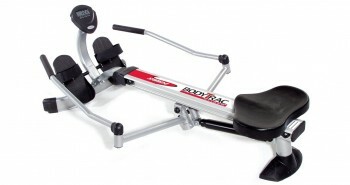 From what I’ve read, though, the seat is upholstered and padded so you’ll be comfortable throughout your workout. To make your workout even more comfortable, the manufacturer of the Stamina Air Rower made the handgrips textured and slightly curved. If you’ve used a rower without these features, you know how much they can be missed. As you would guess from its name, the Air Rower is an air-resistance rower. 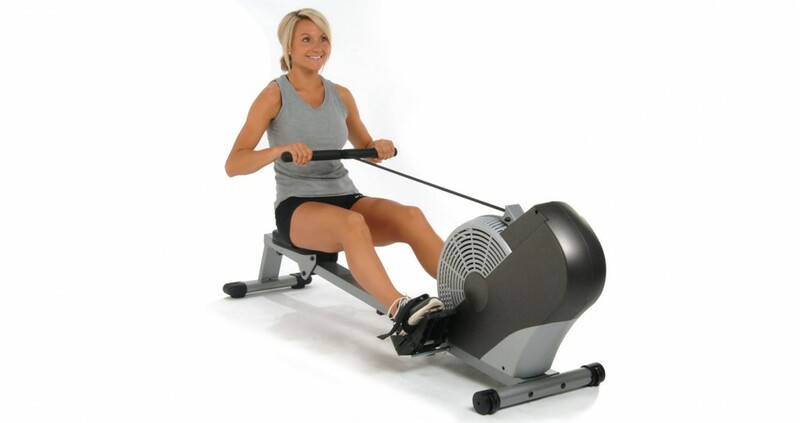 This means that the harder you row, the more wind you generate, which makes it harder to row. 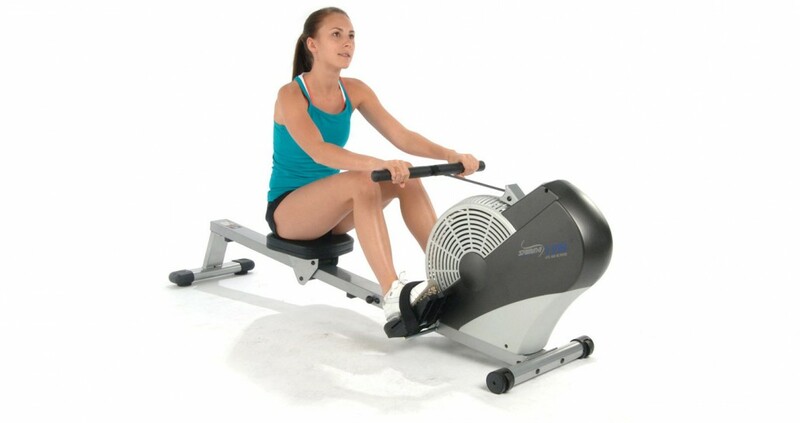 So while there is no button on the rower that you can use to adjust the resistance, you control how much resistance you get from the rower by how fast you are rowing. If you want to take it easy you just don’t row very hard; when you want a more intense workout, you row harder to get more resistance. 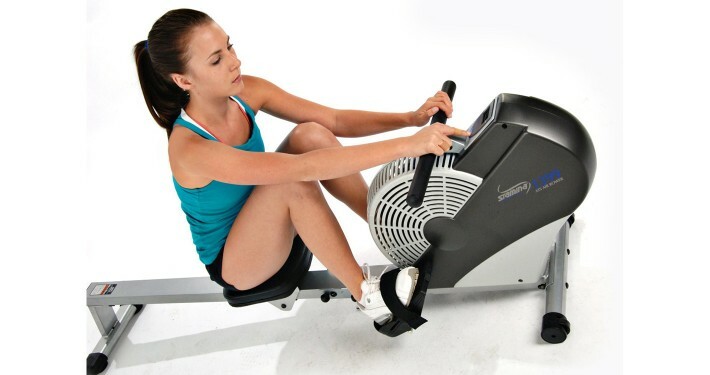 Seasoned rowers who are out to get an intense workout should be able to appreciate that you don’t have to pause constantly to adjust the resistance while you are working out. Novices and experienced rowers should be able to use the Stamina Air Rower for a full body workout with minimal risk of injury. The manufacturer says it should take only about 15 minutes to assemble, but from the information that I gathered you will most likely need more time. Some users say it took them a solid 50 minutes to put it all together. Now that may be more of a reflection of their ability (or inability) to read the instruction manual and do as it says, but that’s just a guess. The manual seems to have clear enough instructions and diagrams that should make the assembly process clear. On a more positive note, it comes with a wrench and two Allen wrenches to facilitate faster assembly. 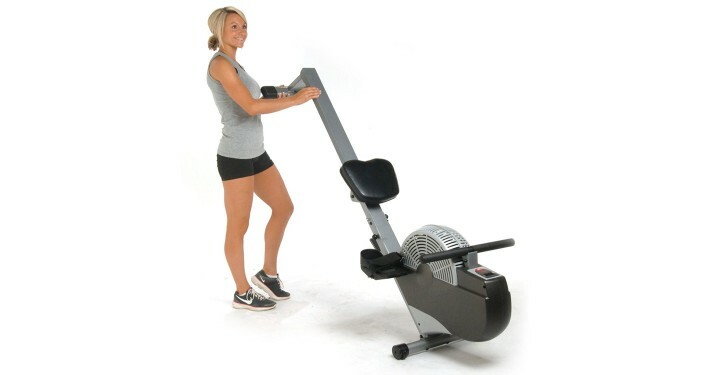 The Stamina Air Rower is an effective, comfortable rower that is easy to use and store away after a workout. Those who don’t like to be distracted during a workout by changing resistance settings will like the air-resistance feature. The setup and assembly do seem to be a bit time consuming, but I have assembled a few exercise machines in my day and with the diagrams on the instruction manual I expect the task wouldn’t be all that difficult.